To date over 242 objection letters have been received by the Bedford Borough Council. In some cases the Council have consolidated household signatures as one entry on the portal. Do not worry about this as the Borough Council have assured us that household signatures will be counted separately when they make their final count. Please continue to engage with neighbours, friends and families using the door step challenge. 65 separate letters have been received from the door step challenge plus 13 letters from the 1st Friday Lunch club. This is in addition to the 242 signatures above, the Borough council will update these in the portal shortly. Please reach out to people living outside Biddenham by encouraging them to use the link: www.have-a-say.co.uk/goldlane,this is the simplest way to get signatures. There has been some concern that registration has not occurred via this method as delays have occurred. Again rest assured the objections will get counted as the Borough Council is performing governance checks on these. Many thanks to all the volunteers who have engaged with their communities. We still need many more. All objections count so make yours count! We are now in the middle of the seasonal holidays and this is a perfect opportunity to engage with neighbours, friends and families using the door step challenge. I have already received template letters back but we need many more. To date over 100 objections have been received by the Bedford Borough Council but we need many more. All objections count so make yours count! An outline planning application 18/03100/MAO has been made for up to 160 dwellings including vehicular access from Gold Lane. Click here to see a detailed view of the plan. There are a number of ways to object to this planning application. Go to the Borough Council portal directly to register a letter and object , but this is more involved. If you have already objected, please encourage all other adults in your household and neighbourhood. Use the Door step challenge 10 for people uncomfortable with the internet or need a nudge. 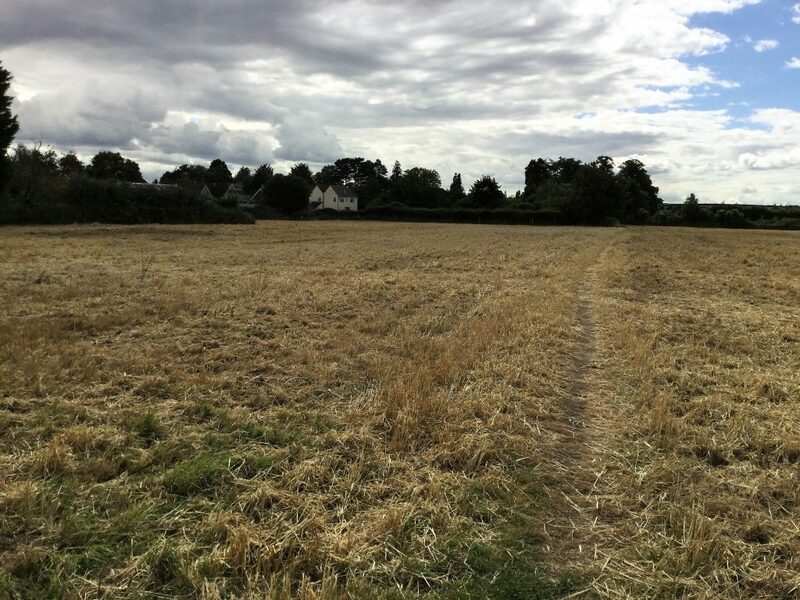 A letter will be going out to all residents in Biddenham from the Parish Council with a detailed explanation about why this plan should be rejected and what people should do. Lioncourt have in the last few days made a second application (18/03100/MAO) to build 160 homes on the land West of Gold Lane. In order to galvanise all communication streams to object to this proposal, it has been decided to re-instigate the door step challenge 10. The challenge is targeted at people who do not use the internet or need some encouragement to make an objection. With the deadline fast approaching – Wednesday 9th January 2019, it is imperative that action is taken immediately. Lioncourt believe people wont bother registering an objection over the Christmas period. In fact this is an advantage to us, as we can in addition to asking neighbours, ask friends and relations visiting over the festive period, to sign copies of the letter. Make sure they complete the letters at the door and hand them back to you. The Parish Council are fully aware of this application. More information will follow shortly regarding actions to be taken.